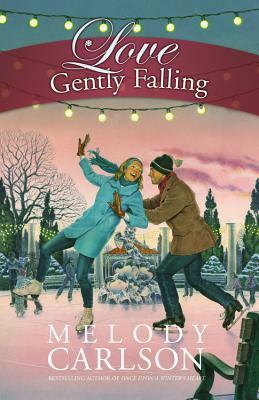 A phone call can change your life, which is exactly what happens in Love Gently Falling by Melody Carlson. For Rita Jansen, everything was going smooth until her father called her up with horrible news regarding her mother having a stroke. Her father made it clear that he wasn't sure if she would make it and Rita needed to come immediately. Rita leaves California in a flurry much to her surprise when arriving at the Chicago airport to find Johnny Hollister waiting to bring her to the hospital. During the drive, Rita learns a lot about her mother's salon and the clientele. She has also learned that Johnny has opened his own business. Upon arriving at the hospital, she learns more about the recovery process for her mother's stroke than anticipated. Rita decides while she is in town, she will help her mother out by making some renovations to the salon or soon her mother may lose her source of income, which will be detrimental to her mother's lively hood and ability to heal faster. Will Rita be able to pull off getting the Salon done in two weeks? Or do past relationships put a halt to the salon efforts? Is Johnny the love of her life or just some man she liked the idea of being in love with? Overall, this book is a fun read that is light-hearted, romantic, but also has some serious moments when necessary. It is the perfect Valentine's Day read, and the author leaves you with a surprise, so don't forget to check it out! Thank you to Center Street Publishing for providing me a complimentary copy for my honest opinion. I was not compensated for a positive review but was given a copy for review purposes. This book is 4/5 stars for me. I have given this rating because it ended rather stark and I would have liked to see Melody tie the ending up better. She left us with some loose ends, which might be strategic for another book in the future, which I'd love to see.